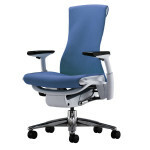 Comfort should be the single most important detail impacting your purchasing decision when it comes to your office furniture and especially office chairs. Understandably, your going to want to be able to sink into your chair, lean back and tackle the morning head on. But this level of perfected comfort comes with responsibility. One needs to be ever vigilant in making sure he or she is in control of the comfort level and not controlled by it. What does it mean to be “controlled by comfortable furniture”? 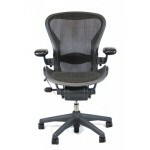 A perfect example is the “dreaded mid afternoon wake-up” when a normally hard working employee is shaken awake by an understandably irritated boss after having fallen victim to the seductively indulgent comfort of the perfect office chair. Seriously though, when examining the comfort of an office chair offers it is important to keep in mind the number of hours the chair will be occupied and to focus more on the support of the chair rather than its immediate “cushiness”. 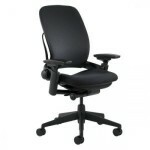 A proper office chair should offer ergonomic support and include considerations such as lumbar support. The Herman Miller company was an early pioneer in recognizing the need for a chair that is not only comfortable but supportive by way of encouraging proper seating posture. 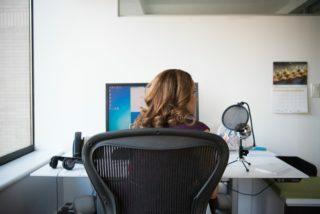 While a chair may seem perfectly adequate at first, years of sitting day after day in a chair without proper support, even a cushy one, can take its toll on your back. 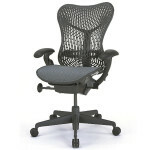 Call Cubeking today and inquire about our vast inventory of comfortable yet supportive office chairs!